Arrive in Walt Disney World one of the first three Saturdays after Thanksgiving. See Next Best Dates if you cannot go on these dates. WHY GO TO WALT DISNEY WORLD THEN? Crowd levels* are the first factor to consider in timing your Walt Disney World trip. Here’s why: daily attendance at the Magic Kingdom, the signature park at Walt Disney World, varies from fewer than 20,000 people to more than 60,000, with more than 90,000 heard of at Christmas. The park has a total hourly capacity of approximately 40,000 people–that is, the attractions can deliver about 40,000 rides per hour. Consequently, on a day with 60,000 visitors, it will be hard for you to average more than one attraction every 90 minutes or so. Multiply this by the number of attractions in the park and it could take you more than 50 hours to enjoy everything at the Magic Kingdom. The attractions themselves take about 7 hours to enjoy; the other 40 or so hours will be spent waiting. On the other hand, if you go to Walt Disney World during a low attendance period, you can enjoy an attraction at the Magic Kingdom every 20-30 minutes, reducing your total Magic Kingdom time to less than 15-20 hours, and your waiting time down to 8-14 hours. Other factors to think about in setting your date include seasonal pricing, the hurricane season, ride closures, and special events. Given this, early December is the best time to visit. Crowds are low, prices (at least for the first two weeks) are low, the hurricane season is over, few rides are closed, and magical special Christmas events and displays are everywhere. See best and worst times to visit if you cannot go in early December. *But not the lowest crowd periods–these are low for good reasons: the peak of the hurricane season, and ride closure season, both of which should be avoided by first time visitors who may never return. Hi, Dave, Just wanted to publicly say that your website’s information is so spot-on it’s scary. So much of what you say rings true with my own experiences, and there’s always something new to learn about things I have yet to experience (or have experienced “less optimally” without your guidance). I recently paged through your 2015 “Easy Guide to Your First Walt Disney World Visit’ and was pleasantly surprised with how “fresh” it still felt after being out for over a year. Prompted me to place a quick order for your 2016 guide so I can REALLY be impressed. I think it will be great to have the information at my fingertips for my own use and as a travel agent for guiding my clients. And as others have said, it’s not just for first-timers! Keep rockin’ Disney! Hi Lara and welcome back!! Thanks Dave. Very good advice as always. My plan was actually just to do a few days at DLR and then would do less days at WDW ( i.e. 1 day MK, 1 day AK and 1 day HS) so wouldn’t overlap too much. But yes we might actually be able to fly into San Francisco now and do that city too so will weigh it all up. I have seen a lot of the US as a kid but my hubby and kids haven’t. Haven’t been to Las Vegas but not sure would be great for kids? Anyway, one more question – with HS creating new star wars and toy story land I read somewhere that when we are there Sept 2016 might be nothing much to do at HS so could probably do it in half a day? Is that right? Thanks so much, from your biggest fan! Lara, a selfish question for my “biggest fan”–have you posted a review of my book on Amazon lol?? Even with the closures, HS is not a half day park for first timers who want to see everything there, despite all the fuss. However, returning visitors who don’t want to do everything again can do it in a selective half day. Of course, I think I was one of the first to post a review!! Lara, I was thinking of the 2016 edition 🙂 You really need several you know. Love your book and the site! There is so much great information here to take in. Our trip is planned for 11/27- 12/6. I just looked at the extended forecast and while they are predicting highs in the upper 70s, it seems we might have a lot of rain and overcast while we are there. When it rains this time of year does it tend to be a passing thing or can it take over the day? Hi Lauren! First there’s not much value to a weather forecast beyond five days. Second, rain this time of year is a matter of large fronts moving through, so duration etc is purely a function of larger weather patterns–that is, it cna be short, or long. 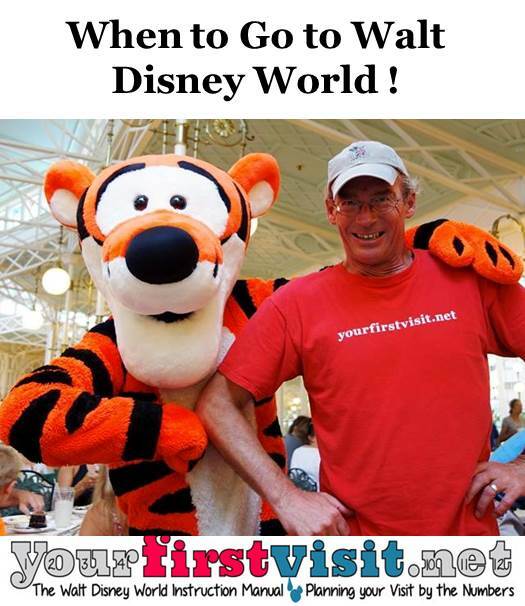 I have been studying for our Disney World trip now for over 1 year – and have read every website I can find – yours has been “hands down” the most informative and user friendly of ANY I have found – THANK YOU so much for doing it. I am going 9/25/16 – 10/1/16 — with my husband and an 8 year old – they like to be comfortable and don’t like to be inconvenienced much (where I am more adventurous) – we are currently booked at POR Riverside – Garden View w/a Room request for Magnolia Bend. I am debating upgrading to Pool View/Royal – as it appears it may be closer to the walking path to cross to lobby — and would be close to a quiet pool — am debating just upgrading to Pool View — in regular rooms and requesting Magnolia Bend – hoping that will keep me close to Ol Man River path and a quiet pool — any tips on this — ALSO strongly debating renting points at a Poly Studio, Boardwalk Villas or BLT — to stay closer to our budget but have “more convenient” hotels — I could change dates, if needed – we are flexible there – just do not know what to do . We are DRIVING so will have a car, but POR just seems remote…. Any advice? Jen, there’s a lot to be said for the Poly or BLT. Boardwalk is convenient only if you plan to spend a lot of time at Epcot or HS–POR is more convenient to MK. Thanks, Dave! Turns out nothing available for studios – DVC rentals at the 2 brokers I tried — Sept and Oct very popular for studios, maybe on my “secondvisit” 🙂 They did get back to me right away – which was awesome! POR it is – and that will be just fine! I love this website and this will be my 2nd time to disney/florida. Me and my family are planning on going to Orlando for 2 weeks in October 2017 and while I will be coming again in the future for them this is a once in a lifetime thing. So as you can imagine we are looking at doing Disney, Universal and Discovery Cove. What would be the best way of doing this so that we aren’t completely worn out by the end? Sarah, how old will the kids be then? We are heading for just one day at Magic Kingdom. We’ve been to MK a couple times in the last handful of years, and are okay just getting whatever we can out of a day. We will be there either Monday February 5, or Tuesday February 6. I see on your calendars that this is not a busy time. My question is whether there would be a significant difference in Monday MK versus Tuesday MK crowd size? Thank you for your time and amazing website! Hi Ryan, and thanks! Yes there will be–Tuesday will be better. Please help me choose! I want to take the kids for a quick long weekend either Labor Day or Columbus Day weekend. I know the heat/rain/hurricanes can be an issue. But that aside – strictly based on crowd levels, would one be more manageable? I have been over Columbus Day weekend before and it was pretty packed but have never been over Labor Day weekend. We will do park days Friday-Monday in either case. Carolyn, on crowds Labor Day will be infinitely better. Thank you, Dave! Do you have any park recommendations for that weekend? Friday-Monday? They are not doing MNSSHP on Sunday so that was unexpected and kinda screwed up what I know (and I have your book – love it!). So glad the book is helping, Carolyn!! I’ve recently planned my WDW trip for 12/2-12-7, however I’m thinking of moving it up a week due to pop warner week. In terms of crowd levels what do you suggest? Pop Warner has next to no effect on crowds, Bria–see this. Bria, I don’t know how I did that (a “t” was missing in the link!). Try this. Hi Dave. I wish I’d found your fantastic site before I booked my visit for the last two weeks in March! Coming from the UK I knew of Spring Break, but didn’t know what an effect it had. I’ve now changed it to the end of November! ? I am taking my family to Disney World for the first time. I have 2 kids that will be 5 and 8. Our first day at the parks will be 9/25 through 10/1. What parks would you recommend for those days? Is the weekend going to be miserable?! Do you think that Star Wars will make the parks super busy that week? Ashley, for my thoughts on the impact of Star Wars, see this. It’s me again getting back to you to inquire on the dates of 9/25 through 10/1 at the parks. What parks would you recommend for those days? I was thinking that since my girls are going to be 5 & 8 years old that I would maybe do 3 days at Magic Kingdom? We don’t have park hoppers. I haven’t been in years and it’s my kids first time. Do you think the weekend will be super busy during that time? Thank you! The weekend will be a little rough. How many ticket days are you planning to buy? We have a 6 day 1 park per day pass, we will probably goto the beach on sunday… If the park is way too crowded on saturday we may leave and do another day at the beach as well? I do have reservations at the plaza at MK at 8:20am on 9/28. Thank you for the input! My parents are coming with us so we will have 6 of us total going. We are not staying on site, so we cant get fastpasses until 30 days out. Im hoping we can see most the parks in the time we are there! Good luck Ashley! Avoiding the parks Saturday is probably a good call! And frankly, an 8.20 breakfast will put you behind everyone else who arrives at the turnstiles between 7.30a and whenever you get out of breakfast.